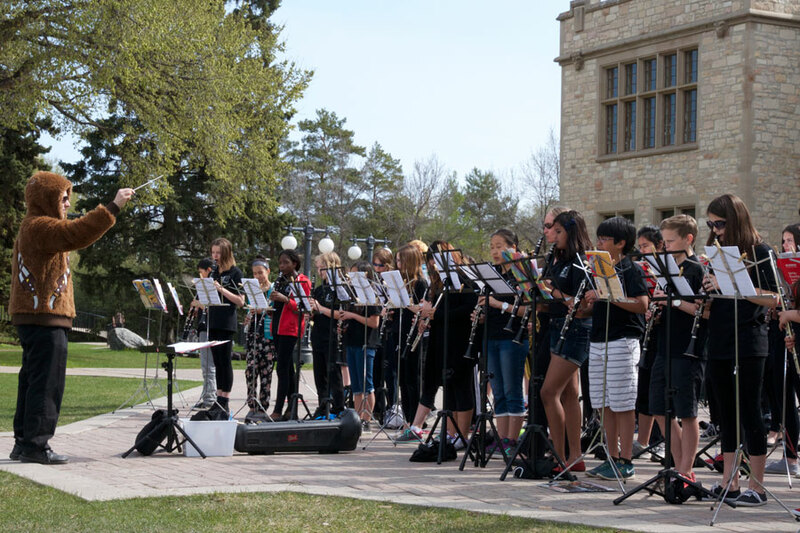 Grade 6, 7 and 8 students from Brunskill School under the direction of Michael Kurpjuweit celebrated Music Monday with a concert in front of the Peter MacKinnon Building on the U of S campus. And because it was May 4 (may the fourth be with you), Kurpjuweit donned a Wookie jacket and the band kicked off its performance with the Star Wars theme. Launched in 2005 by The Coalition for Music Education, Music Monday is a Canadian event dedicated to raising awareness for music education.